My two-year old just got his first iPhone. Now, Pickle (yes, Pickle!) is never without it. The iPhone goes everywhere with him the way other kids might drag along a stuffed bear. We are even thinking about getting Pickle a haute couture fanny pack to ensure his iPhone is on him at all times. I’ll give some of you moment to catch your breath…. Scrambling to ascend that high horse so quickly probably took a lot out of you. Yes, I am familiar with the research on screen time and brain development. I don’t care. I don’t care because we didn’t get Pickle an iPhone so we could subject him to the perverse moral dystopia of Thomas the Train. We got him an iPhone because he was recently diagnosed as a Type 1 diabetic. The iPhone links to his continuous glucose monitor and transmits the readings to his mother and me. It alarms if Pickle’s blood sugar gets too high (so we can dose him with insulin) or too low (so we can pump him full of sugar). If you don’t think that is a good enough reason to get a two-year old an iPhone (an older model donated to us), you can take it up with my wife. Let me know how that works out for you. Of course that means that my kid is a cyborg. How sweet is that? Pickle’s life literally depends upon computers—a glucose monitor and an insulin pump—that are attached to him. He is a being with both organic and biomechatronic body parts. He is an organism that has restored function due to the integration of some artificial component or technology that relies on feedback. My Pickle is a cyborg. Using the term a little more loosely, however, aren’t most of us professional cyborgs at this point? I know that I feel my ability to conduct business draining away anytime the battery life on my iPhone or laptop approaches critical level. How exactly does a modern lawyer operate without relying on modern technology? How do you not Google? How do you exchange documents your clients without email? How do you file anything according to local court rules and efiling protocols without an entire array of hardware and software? How do you conduct a litigation of any appreciable size without some understanding of ediscovery? How do you handle divorces without knowing about Facebook? How do you complete an M&A transaction without considering IT and information assets? You can actually be ignorant of all those things and still be an obscenely successful lawyer. The trick is to already be successful. I was in the audience a few years ago when the great Ted Olson gave the opening remarks at Legaltech. His talk was not well received because he made it clear at the outset that he considered the audience a bunch of nerds (which, to be fair, we are). After all, a yellow pad was all the legal tech he needed to be Ted freakin Olson. And that’s fine, for Ted Olson. Ted Olson is so ridiculously good at the things that Ted Olson is hired to do that no one should care that Ted Olson doesn’t use tech. If Ted Olson decided to incorporate augury into his preparation for oral argument, most clients would happily pay for the birds. But you know who is probably using tech pretty heavily? Some of the people on Ted Olson’s team. I believe Ted Olson when he claims that he operates without any device that requires electricity. I doubt the same can be said for his team, let alone his firm. As a client, you want Ted Olson as your lawyer (if it is the kind of matter that demands Ted Olson) but you would not necessarily want Ted Olson chairing the firm’s technology committee. Ted Olson telling a room full of legal tech folks that the only tech he needed was a legal pad would be like him telling a room full of legal marketing professionals that the only marketing he ever had to do was establish himself as one of the most prominent and successful appellate lawyers in history. True enough. But not exactly replicable at scale. I am reflecting on this because I often get lured into pointless philosophical debates about what constitutes ‘real’ lawyering. Frankly, I am ill equipped to discuss such lofty Platonic ideals. If it affects the outcome or the bill, it is real enough for me. Delegation to associates or nonlawyers does not make it any less real or obviate the duty of oversight. (As always, I hate the term “nonlawyer” and prefer allied professional, but the ABA did not put me on the drafting committee for the model rule). If I am feeling generous, I try to reframe what the person is saying. Usually, they are not actually arguing that tech is unnecessary. Rather, they are often expressing a belief that the tech-related work is not where lawyers add the most value. On this we almost completely agree. Which is why I find it so tragic that lawyers (and staff) waste so much time on tech-dependent activities because they have never trained to properly use the core technology tools at their disposal. We often find a place of consensus where we would both prefer a world where lawyers spent more of their finite time devoted to applying their learned judgment to solving client problems. Sometimes, however, I discover that we are having a different discussion. It is not the one about whether lawyers should use tech. It is the complaint that while lawyers have to use tech, the tech has not lived up to the hype. Here I have even more sympathy. I’ll express it in Part 2. My wife is also an insulin-deficient cyborg, I have therefore been reading the same damn story about the same pending breakthrough in closed-loop insulin delivery for over a decade (e.g., 2006, 2011, 2016). We are eternally on the cusp of the machine finally replacing humans in the labor-intensive process that is monitoring a diabetic’s blood sugar levels and delivering insulin when necessary. Pickle has a continuous glucose monitor. But it needs to be calibrated multiple times a day. And it is not accurate enough to be relied on for dosing insulin. So the monitor does not obviate the need to regularly prick his fingers and draw blood to check sugar levels. Indeed, the best commercially available glucose monitor is actually a trained dog—the repurposing of 26,000-year-old technology and more evidence against functional fixedness. But a dog, like the monitor he actually has, cannot communicate with his insulin pump, which still needs to be run manually (i.e., we still have to direct the pump to dose insulin). The cycles of hype and disappointment around an artificial pancreas give me quite a bit of sympathy for older lawyers who have been through many such cycles re artificial intelligence. As a stand-in for older, successful lawyers, I am going to assume a law school graduation year of 1977 since that is the median and modal graduation years of the chairs of the AmLaw 10. They have been hearing how machines were going to replace them since long before they took the bar. 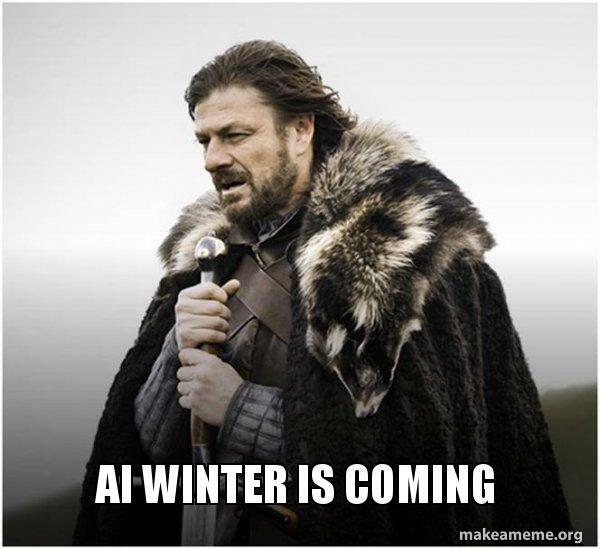 Instead, their law school graduation in 1977 was at the tail end of the first AI winter—a period of reduced interest in AI due to its failure to live up to the hype. Elsewhere in 1997, our successful lawyer had been a partner for more than a decade and practicing for two. The home computer market had not yet broken 40%. The still nascent home internet market had not yet cracked 20% penetration. In developments that would actually make an impact, the domain and famous spelling error www.google.com was registered, almost a year before the company would be incorporated. Returning to my understandable focus on the perpetual promise of the artificial pancreas. In fixating on a closed system that eliminates the human factor post installation, I miss the genuine progress being made. What used to be a death sentence is now an inconvenience. And that inconvenience has gotten considerably easier to manage now that we can do things like monitor my son’s blood sugar remotely on a watch—continuous glucose monitor links to his iPhone; his iPhone transmits to my wife’s iPhone; her iPhone transmits to her Apple Watch. None of those devices were commercially available when my wife was diagnosed a decade ago. That is amazing even if it is not the technological nirvana we were promised. In Part 1, I introduced the idea that we are all professional cyborgs. I used my personal experience with a diabetic toddler whose life literally depends on computers attached to his body to ruminate on how technology is so deeply intertwined with our professional lives that we often don’t even notice it. I rejected the notion that the use of technology can somehow be considered distinct from ‘real’ lawyering. In Part 2, I compared a decade of reading that an artificial pancreas is right around the corner to the even more drawn out asymptotic dawn of artificial lawyers. I used the professional progression of a composite successful lawyer who graduated law school in 1977—the mean and modal graduation year of the chairs of the AmLaw 10—as a touchstone for comparing the various AI hype cycles to more quotidian progress that had real impact (desktop computing, the internet, mobile). I, however, concluded with the idea that the failure of technology to live up to the hype was a good reason to be skeptical of hype but a terrible reason to be skeptical of technology. In this Part 3, I will talk about what happens when technology does live up to the hype (we stop thinking about it) and why legal technology always appears to lag behind (because it does). We pay attention to that which demands our attention. The only reason I ever think about my own pancreas working is because my son’s doesn’t. Likewise, I don’t think about my pulmonary, respiratory, or digestive systems unless something is wrong (like we only notice the miracle that is breathing when we’re congested). If my son were ever to acquire the long-promised artificial pancreas, I would stop thinking about it. Just as when he switched over to an insulin pump I stopped thinking about giving him insulin shots. The partner who grew up on a Dictaphone and banker boxes is not going to proceed in a state of perpetual amazement that she can access all the world’s knowledge and all of her firm’s files from a $600 computer that weighs 5 oz., fits in her pocket, and performs 120,000,000x faster than the $23,000,000 computer that weighed 600 lbs. and guided Apollo 11 to the moon. She is going to complain that the connection is slow, the battery runs down too fast, and something mission critical isn’t quite working right. Alternatively, she is not going to learn to operate the device anywhere near its capability and, on the basis of her own ignorance, conclude that the device is not all that useful. Most commonly, a little of both. We want self-driving technology. When we get it, we stop thinking about it and recalibrate our expectations. When we get partially self-driving technology, we focus on all the driving we still have to do. We are not built to be satisfied. From Carroll’s Through the Looking Glass, those who run the Red Queen’s race go as fast as they can in order to stay put. When I was growing up, grandparents expected you to send them a school picture once a year. Today, grandparents complain if you don’t post daily kid photos to Facebook. It is not just that expectations reset at warp speed. They also tend to ratchet in ways that outpace our ability to deliver. Enterprise IT, for example, faces all manner of expectations problems due to the consumerization of technology. In the beginning of the digital era, businesses always had the best technology. People had to go into the office so they could use this or that machine. For your standard knowledge worker, the dynamic has flipped. Now most people complain that what they have at home is better than what they have at the office. Their personal phone is newer. Not bogged down by security protocols, their personal computer is faster. Google embarasses their enterprise search capabilities. Amazon is light years ahead on filtering functionality. Dropbox seems better for document management. The result is incessant complaining and dangerous forays into shadow and stealth IT. People want something that works, now. They don’t care to hear about systems integration or that Apple took years to offer its consumer-targeted iPhone with enterprise-level security controls. IT can’t win, they can only try to keep up. Arguably, legal has it even worse. Our technology is often reactive. We didn’t know we needed virtual deal rooms or electronic discovery until enterprise data volumes had already exploded. We were ‘late’ on information governance, social media, cybersecurity, privacy, BYOD, etc. because there was no role for us to play until there was role for us to play, at which point we were in perennial catch-up mode. Relative to any time in the past, our tech is greatly improved. Relative to our actual reference classes—(i) what is available on the consumer market and (ii) the scale of the task at hand—the tech we notice is almost invariably deficient. This is not where I launch into a diatribe about older people not getting tech. I consider such thinking to be lazy, essentialist nonsense. Older people invented tech. Being an impostor, I know many people, some of them lawyers, who are older and considerably more tech savvy than me. Oh, and the digital native is a load of malarkey. Yet that older people are entirely capable of getting tech does not mean that they do. Some do. Many don’t. And many who don’t are wildly successful. You can be a successful lawyer without tech having much of a felt impact on your career, let alone contributing in any discernible way to your success. Second, the staff:lawyer ratios today would be unrecognizable to a time traveler from, say, 1985. They might be tempted to protest, “how can we afford to pay lawyers to type?” Don’t scoff; an early and terminally benighted boss of mine uttered those unforgettable words to me in about that very year, when I offered to bring in my own very primitive DOS-based, green-screen IBM PC clone on which I’d taught myself WordPerfect. Things have changed since 1985. But they have changed far more at the bottom than at the top of the pyramid where our successful lawyer now resides. In many respects, our successful lawyer may be like Bruce’s hypothetical time traveler. They sometimes visit the tech-centric inner workings of their firm, but they find it alien and have no need to live there. I promise to someday explore some of the ramifications of this social distance. But today is not that day. D. Casey Flaherty is a legal operations consultant who worked as both outside and inside counsel. Find more of his writing here. Connect with Casey on Twitter and LinkedIn. Or email casey@procertas.com.